"The Only Thing That Is Constant Is Change." That's a famous quote by the pre-Socratic Greek philosopher Heraclitus. Nobody knew it at the time, but he had been sent back from the future and was actually making a snarky comment about Google's approach to design. It was only about two years ago when every app was adding FABs (floating action buttons) regardless of how much or little they made sense, and now we're saying an abrupt goodbye to the one in Android Messages as it vanishes with the latest update. Alongside that simple change, a teardown also turns up signs that the app will soon provide shortcuts to launch video calls, exchange money with contacts, and read QR codes. The next time you want to start a new conversation in Android Messages, you'll have to stretch your finger all the way to the top of the screen. With version 2.5, the New Conversation button has been relocated from a FAB at the lower right corner to a spot nearer the center of the title bar at the top. Aside from location, nothing else has changed about the button. If something feels out of place when you're next using Messages, this is why. Update: Some people still have a FAB after updating, so this is either a rollout situation or A/B testing. Either way, it only happens on v2.5. I suspect this change will be rolling out to everybody soon enough. There are a few decent ways of sending a few bucks to somebody over the Internet. Gmail began supporting this back in 2013, and we now know that the same thing will be possible with Assistant soon. You can also look to Google Wallet, which can send or request money over SMS or email. Judging by a few new lines, Android Messages will be joining the list soon enough. I've got a hunch this will be using Google Wallet in the background, but it may even just be a shortcut to launch the Google Wallet app. Hey, maybe with these options in a more visible place, it'll be harder for your friends to avoid paying you back for that time you covered a drink or got dinner when they "forgot their cash." 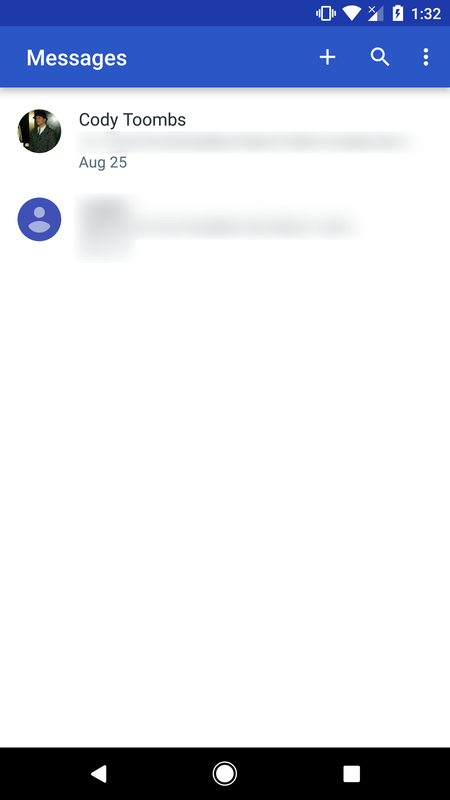 We just saw an update to the Google Phone app with clear signs that it would soon provide shortcuts to quickly launch a video call with Duo, and now a fairly good clue is also written into the Android Messages app. The evidence is extremely thin at just a single line, but with the words, "make a video call," there's not much room to misinterpret it. QR codes aren't exactly printed on everything like we once thought they might be, but they are still pretty common. 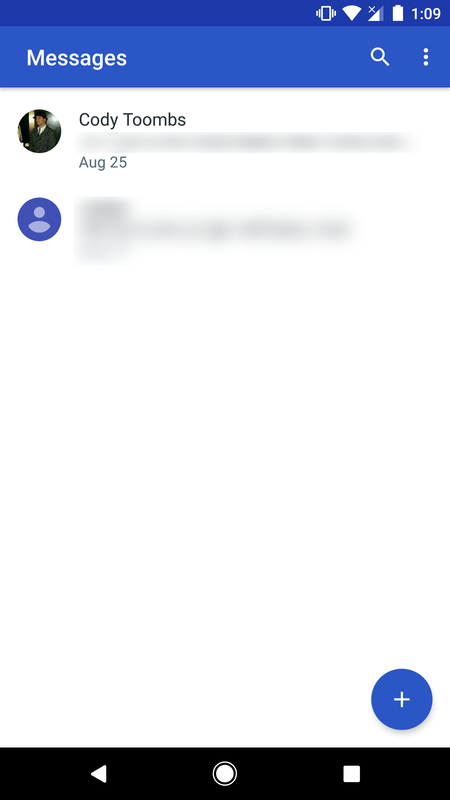 It seems the Android Messages app will be getting a QR scanner in the near future. There's no text to clearly state what it will be used for, but the fairly likely answer is that you'll be able to scan a code and send the results to somebody via message. Finally, just because it's funny (in the sad way), here's a reminder that people are still plagued with missing text messages six years after iMessage was announced. There's a new message that gives users a hint that they will have to turn off iMessage if they want to receive text messages from iPhone users again.